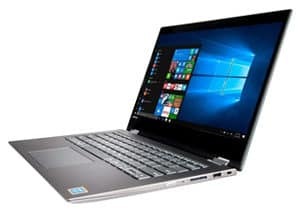 How do 14 inch laptops differ from other sizes? Do I need to pick a 2-in-1 model? 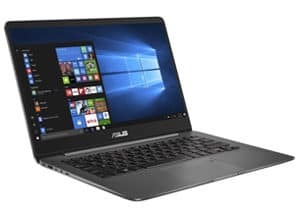 What sort of overall specs should I be looking for in a 14 inch laptop? Manufacturers are constantly innovating new ways to build thinner and lighter laptops. You don’t have to lose out on power though, as new models arrive to satisfy a consumer base with a desire for portable computing. Wondering about the best 14 inch laptop available on the market today? We’ve found five top picks for you, whether you are a gamer, business professional, or college student. 14 inch laptops exist in a happy medium between two extremes. They give more viewing area than tiny devices that feel like tablets, but aren’t too heavy to carry around all day. Dozens of 14 inch options exist at this point, between a large range of manufacturers. They may all be the same general size, but they can vary considerably on every other feature. As with most other size ranges, you have some big choices to make. Do you want a 2-in-1 touch screen display for instance, or do you prefer the traditional clamshell design? Is 8GB of RAM enough to meet your needs, or do you need a full 16GB and a dedicated graphics card for gaming? When you have your perfect 14 inch laptop in mind, scroll down to see our top five contenders for every type of user! 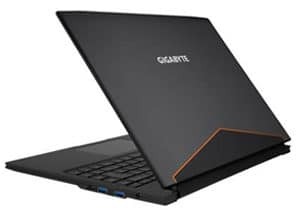 Any of the laptops listed below will work out for the vast majority of users, but two are particularly worth considering. If you love the 2-in-1 design and want extremely high end specs, the Lenovo Flex 14 just can’t be beat right now. 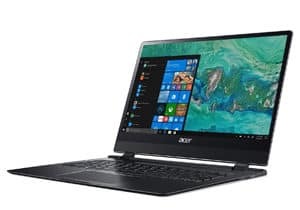 On the other hand, if you are willing to go with slightly lower specs in exchange for the thinnest possible design, the Acer Swift 7 should be your top choice. Want to pack the most graphical power into a slim 14 inch model as possible? This should be your pick! 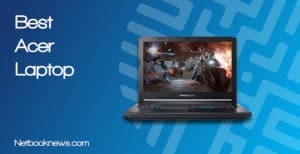 When choosing a portable computer for gaming, there are two main considerations to keep in mind. First is the graphics card, and second is the keyboard layout. In a 14 inch laptop, the GTX 1060 is typically the best graphics card you will find, and that’s what you get here. If you want to go with a 1070, you will usually have to bump up to a larger size. 16GB of RAM is great for most games these days, and this motherboard features one single memory stick. That means upgrading to 32GB later on is cheaper than with other models. Besides the specs, the other big draw to the Gigabyte Aeros is the embedded macro key line. The left side of the keyboard features five dedicated macro keys specifically for gaming, and you won’t often find that in smaller laptops. Finally, this model has much higher battery life than most other gaming machines. The 94.24Wh battery is constantly mentioned in reviews as the biggest selling point. The only real downside here is that 4.19 pounds is heavier than most 14” models, which are usually in the 2 ½ – 3 ½ pound range. Don’t care about the macro keys, or prefer a gaming rig from a bigger name brand? The MSI GS63VR Stealth Pro is another fantastic 14 inch gaming laptop option. More concerned with a low price over high end specs? This should be your pick for the best budget 14 inch laptop! Finding a 14 inch laptop that’s actually under $500 is a bit like digging for buried treasure. You have to look hard, and when you find something, it’s not usually quite what you had in mind. 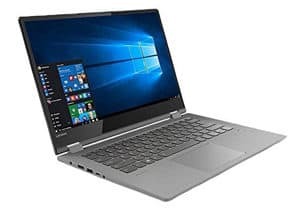 Lenovo does offer a budget 14 inch option, although you will end up with significantly lower specs than with our other contenders. 4GB of RAM is on the low end for a 2018 model, but do you get a solid state drive for faster booting. If you don’t do much beyond web browsing and typing up documents though, this is a great option when you need to stick to a budget. Getting a 2-in-1 touch screen at this price is also a major bonus. Want to bump up to 8GB of RAM for better speeds when multiple tabs are open? 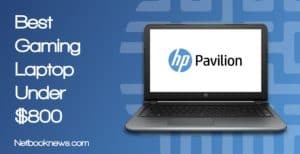 HP’s Elitebook 840 G1 model is available in a 14 inch version for under $500, although you’ll have to go with a refurbished model. 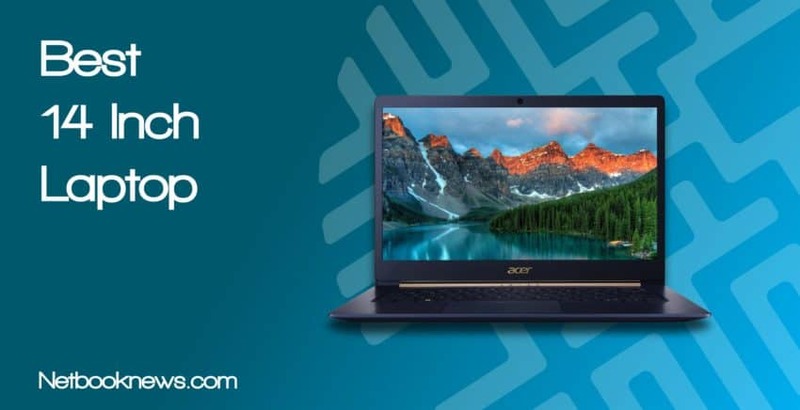 Alternatively, if you don’t mind ditching Windows altogether, the Acer Chromebook is a 14 inch laptop that sells for well under $500. Want to get incredibly high end specs in a 2-in-1 device that can be used as a tablet or a laptop? This should be your #1 choice! Lenovo’s Flex doesn’t just outclass other 14 inch machines — it beats out many larger laptops and even desktop machines! This combination of specs is near the upper end of what can be obtained in a non-gaming machine. With 16GB of RAM, an 8th gen processor, and a dedicated graphics card, you can run pretty much any kind of software. The Flex isn’t lacking in extra features either, as it comes with a backlit keyboard, a fingerprint security scanner, and plenty of ports for peripherals. While the keyboard is backlit, its also fairly sparse and compact, which is one of the few negatives to be found in his model. You don’t get the full 10 key section or any extra buttons. Several buyers have also mentioned the included charger has a shorter cord than many other laptops. You may want to consider buying a longer aftermarket charging cable. Don’t need a full 16GB of RAM for running memory-intensive programs? 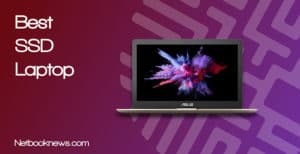 The Asus VivoBook Flip 14” is available for a few hundred dollars cheaper in exchange for only 8GB of memory. Want the thinnest, lightest 14 inch laptop available on the market today? This should easily be your pick, but be prepared to get used to a revamped design. Looking for the thinnest, lightest laptop around? You don’t have to go down to a tiny 11 inch tablet to achieve maximum portability. Acer’s Swift 7 model is unbelievably thin, standing 8.98mm when the lid is closed. With a 14 inch screen and a 2 ½ pound chassis, this is a laptop that is extremely easy to carry around all day. To achieve a design this amazingly thin, of course you have to make some trade offs on the specs. The Swift 7 features fewer ports than many other models, since there’s less room to pack them in. It also features a slower processor and less RAM than many other models at this price point. One other issue is often brought up by reviewers as a potential downside. The ultra thin touchpad doesn’t physically click down like with a normal sized laptop, which is annoying at first until you get used to the design. Want a great business machine that’s thin and light? If you don’t need a touch screen, this should be your pick! For a business machine, you want high build quality, great specs, decent battery life, plenty of ports, and security features. 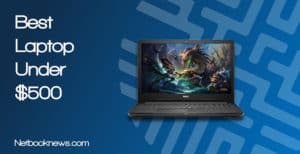 You can get all that with the Asus ZenBook, which is typically available online for under $1,000 in a sleek 14 inch design. Aside from the high end specs and spacious solid state drive, the big draw here is in the ports. You get multiple USB ports, a card reader, and an HDMI port for plugging into an external display. This model doesn’t include a touch screen display or a 2-in-1 design, however. If you need those features, take a look at the four other contenders listed above instead. Essentially, it’s a light vibrating sound (similar to a fan on a full sized laptop) caused by electronic parts being packed so close together. Users have reported significantly reducing the coil whine by changing the battery settings, so this may not be nearly as much of an issue for you. Small changes in screen size can result in huge differences between laptop models. Simply going from 13 inches to 14 inches means a manufacturer has more room to insert additional features. 14 inches is really the sweet spot where you can still get an ultra thin and ultra portable machine without sacrificing power. At this size, most models can still pack in very high end specs. There are a few potential issues to look out for however, especially if you are used to a full size 15 inch machine. Keyboards have to be redesigned to shift around or entirely remove keys to save room on a small chassis. Notebooks in this size range have noticeably less spacing between keys, although they aren’t nearly as cramped as with 11 or 13 inch models. You can also lose out on extra ports, as many 14 inch models don’t include the full bevy of 3 USB ports, card reader, HDMI port, and so on. Smaller laptops tend to default to touch screens these days, since they can be carried around more easily in one hand. That isn’t always the case however, and you can still find traditional clamshell laptops at the 14 inch size. For many users, a 2-in-1 design just simply isn’t needed. If you are a student typing notes or use your laptop for work emails, you may not want to spend extra on a touch screen you won’t use. 2-in-1 designs do offer some extra functionality that can be worth the cost, though. If you frequently set your laptop on the kitchen table to watch YouTube cooking videos for instance, tent mode is perfect. Flipping a laptop around into tablet mode is also a great space saving measure when you need a more portable computer experience. Dropping a single inch off the size from 15 to 14 inches shouldn’t come with any major drop in specs. In 2018, you typically can expect the same level of hardware no matter what size you pick. In general, 8GB of RAM should be your bare minimum on the memory front. The only reason to ever go below that amount is to find an extremely budget-friendly option, or if you are picking a Chromebook that doesn’t use Windows. 8th gen processors are becoming increasingly prevalent in all level of laptop these days. Unless you are getting a high end graphics card or extra RAM in exchange, try to pick a newer processor. Screen resolution is also an often overlooked feature when picking a new portable computer. Touch screens come in different resolutions, so for the best quality look for at least 1920 x 1080 pixels or try to find anything marked as OLED. If you need a durable touch screen that can survive scratches and drops, be on the lookout for Corning Gorilla Glass options as well. Whether you need a clamshell laptop with high end specs for the office, a 2-in-1 machine for home use, or a blazing fast gaming rig, one of these options should be your best pick! What did you think of our contenders for the best 14 inch laptops currently available? Sound off in the comments below, and be sure to drop us a note if you see any other models we need to consider. More: Size matters! Check out our best collection of best laptop pick by size..